Hammertoe is a foot deformity that causes a bend in the joint between first and second segments of a toe, causing the tip to turn downward. The muscles, tendons, and ligaments that normally hold a toe straight have become uneven. 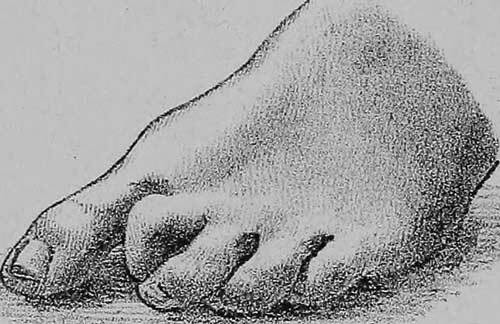 Hammertoe can be caused by a bunion, trauma, arthritis, inherent foot structure, or genetics. Treatment includes identifying and preventing what causes the hammertoe - improving shoe fit, treating a bunion, or addressing inherent foot pathology. Each hammertoe is different, and should be evaluated by a podiatrist to develop a specific treatment plan. The above list is not meant to be actionable and may cause worsening of symptoms if not tailored to an individual case of hammertoe. Schedule an appointment with Dr. Richardson to get a diagnosis and a custom treatment plan that leverages her extensive experience with hammertoe. Surgery is an option in advanced cases. Dr. Richardson has been treating hammertoe for 18 years, including surgeries when needed. Call us today to diagnose and treat your hammertoe.